made brilliant by backlit illumination. Bring your prints to life with our luxurious glass prints! Capture your life’s memories in a new way – our new Glass Prints from myphotopipe.com! These transparent prints simply glow when lit from behind with natural light or your favorite light source. 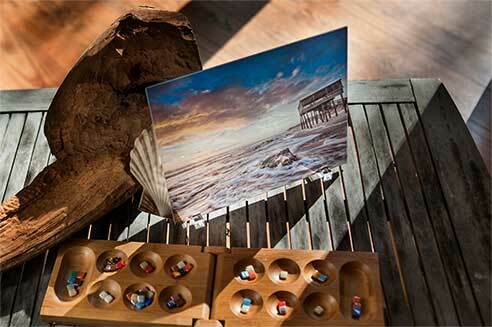 Glass prints each come with two acrylic feet to display upright on a surface, ideally near a window or light source. Glass prints come in beveled for a more traditional appeal and tempered with rounded corners for a more modern look. What is the turnaround time for Glass Prints? Glass prints have a four business day turnaround time based on a 9 AM receipt time in the lab. What are the two styles of Glass Prints available? Glass prints are available in beveled with square corners and tempered with rounded corners. What file format for the photo is required for the Glass Prints? We prefer JPEG files and recommend a file with a minimum pixel size of 3000 in the smallest dimension. Can I hang my Glass Print on the wall? No, this product is not intended for hanging and is printed to have the image illuminated from behind. While the image can still be seen without illumination, the image benefits most from having a light source behind it. We do not offer hanging solutions for these glass prints.